On a boulder close to the parking lot. Standing start, climb the prow and exit by a mantle on the left. NB: a harder right exit is also possible. 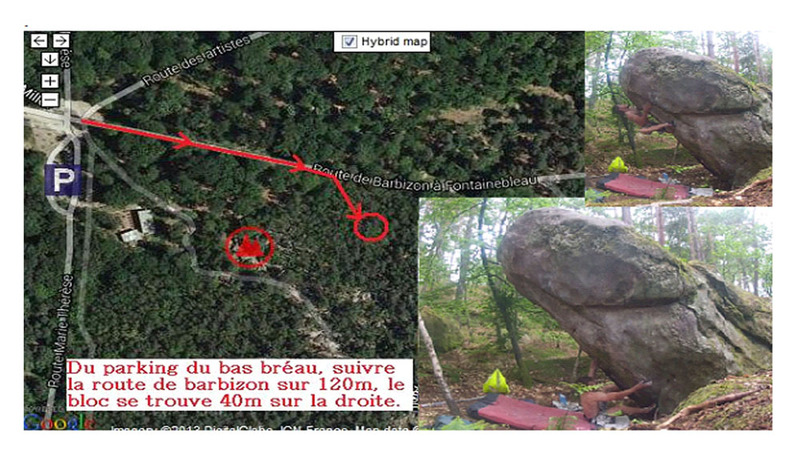 Access: from the Bas Bréau parking lot, take La Route de Barbizon for 120m; the boulder is then 40m on the right.